Outside bets, such as black, red, odd, even, low and high, are very easy to make. The probability of such bets lays a little fewer than 50%. However, the payout for the majority of them would be even money. When it comes to column bets and dozen bets, where players choose a span of a dozen numbers, on the other hand, the payout lies at 2:1. Some players use an inside bet betting system instead, though. Such bets are placed on individual number, also called straight bets. Several other bets also count in this, such as adjoining numbers, or split bets; number rows or street bets; and intersections of grid lines over four numbers or corner bets. Such bets show up in the roulette table's numbered grid. Some players like changing their odds with the help of different betting systems. Such professionals take full advantage of the roulette odds by putting certain systems to use like zero spiel and orphans, in order to dictate their bet placements. Several experienced players also change the sizes of their bets with methods like the Martingale pattern or the incremental D'Alembert step system. Still, there is one thing that every calculation of odds has to consider: the house edge. When it comes to European roulette, the house can get £2.66 for each £100 bet. 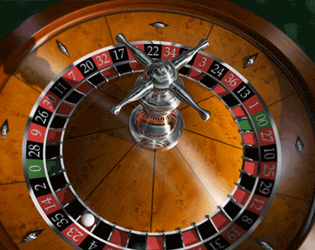 When it comes to American roulette, the house usually makes around £5.26 for each £100 bet. Because of this discrepancy, the majority of casinos in the United States tend to reserve European roulette for the high rollers, revealing the real beneficiaries of roulette in the process. Regardless of whether you want to play for huge payouts or for the mere fun of seeing the spinning of the wheel, you always have to know about roulette odds, so you can play smart and within your possible means. The wheel may not know what its past spins were, but players have to know about long shot bets, frequently paid off bets, and bankroll wiping bets. Play wisely!